Mars’ famous “face”, imaged in 2007. 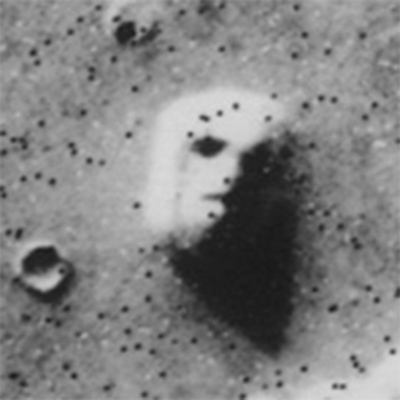 Remember the photo of the mysterious “face on Mars” taken by the Viking spacecraft in 1976? 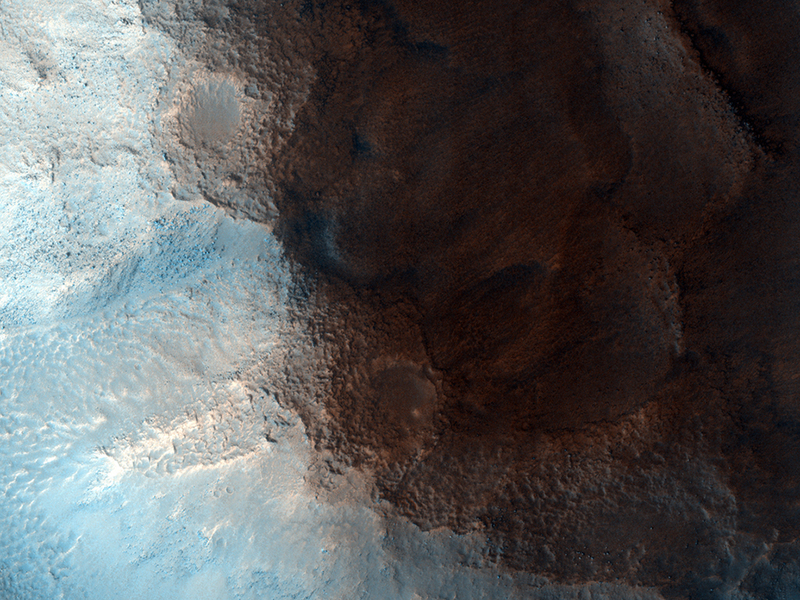 Well here’s the same landform, imaged by the HiRISE camera on the Mars Reconnaissance Orbiter. Just goes to show that things aren’t always what they seem. In the high-resolution image of the same feature, taken from 300km above the surface, it all dissolves into a typical Mars landform. Although interesting in its own right, it’s no timeless sentinel staring out into space. But that’s the beauty of science, really….revealing the reality behind imagination. Not to destroy it but hopefully to inspire even more fascination because of it. Reality, after all, still has plenty of surprises in store for us. Read more on Universe Today, and see the original “face” images here. Originally posted on July 29, 2010. Edited on July 25, 2013. Reality is more marvelous and tremendous that fiction. And that still more in space !! Best Wishes to You and your Blog. It would be nice to see a super imposed image or drawing of the correct scale of the “face”. Every time I see one of these “real” images, it looks in no way like the original face it could just be any old random image. To see what real features correspond to the eyes, mouth, and even the specific mound that stands out in the old phote would be nice. I suggest you check out the Universe Today link above. Mars has not been volcanically active for many millions of years. Plus if you read more on the Universe Today link in the article, it’s clear that the features of the landform are purely geologic. We certainly may not be alone in the Universe but the feature seen here is not a sculpted face.